I have this thing for rose gold. I love it. I kind of feel like because my middle name is Rose it's like my metal. Kind of like my birthstone, but not exactly. Anyways, I know it is easy to find all over the place now. It wasn't so much the case just awhile ago when I really started to like it. I like it so much in fact my wedding band is done in rose gold. 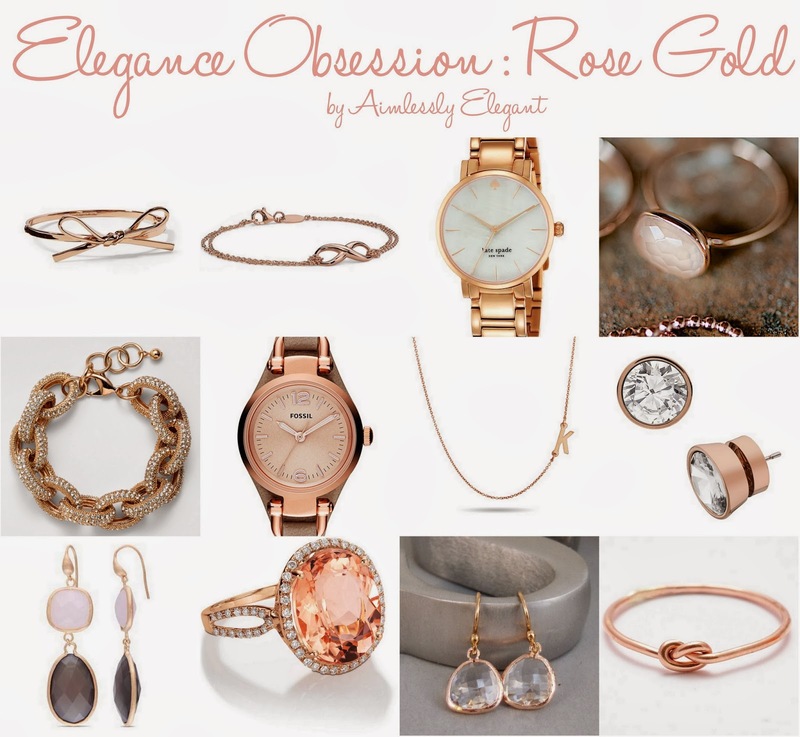 I thought with Valentine's Day around the corner now is as good as time as any to share with you a few of my favorite rose gold pieces that I have come across. To me rose gold is the perfect mix of traditional and elegance together. I think it is soft and feminine, and it goes with pretty much everything! I have the initial necklace and wear it nearly every single day. It is dainty and petite and easy to layer with other necklaces. I have been obsessed with the morganite and rose gold ring in the bottom row since I pinned it probably over a year ago. It is a little out of my price range, but someday I will have a ring like it! What metal do you like to wear? Do you stick with gold, is silver your metal of choice or do you prefer rose gold like me? Happy Wednesday!